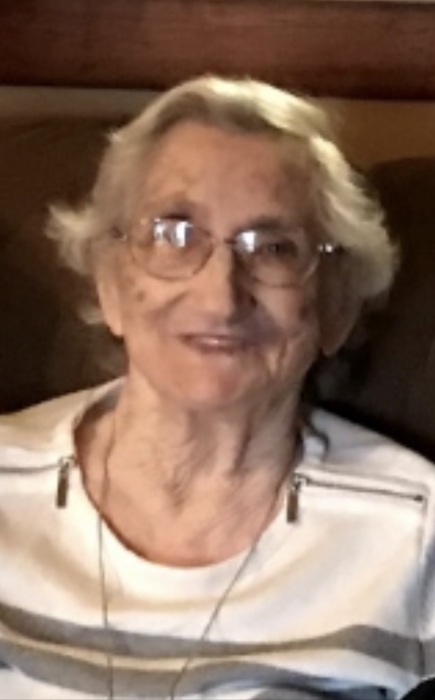 Wanda Marie Goodman, 89, of McHenry, Kentucky went to her heavenly home on Monday, March 18, 2019 at Owensboro Health Regional Hospital. She was born October 3, 1929 in Ohio County, Kentucky to the late Thomas Henry Baize and Willie Stewart Baize. Mrs. Goodman was a homemaker and attended Longview General Baptist Church. Aside from her parents she was preceded in death by her husband of 54 years, Raymond Goodman; one grandson, Jerry Goodman, Jr. and five siblings, Kenneth Baize, Alline White, Anna Grace Payton, Cecil “Buster” Baize, and Ed Baize. She leaves behind to cherish her memory, four sons, Bruce (Donna) Goodman of Barboursville, West Virginia, Terry Goodman of Hartford, Jerry (Tiffany) Goodman of Owensboro, and Bryant (Melissa) Goodman of McHenry; seven grandchildren, Jake Goodman, John Goodman, Brittany Goodman Grimes, Jason Goodman, Madison Goodman, Matthew Gosselin, and Tabithia Goodman and three great grandchildren, Kaden, Keilee, and Karley. Funeral services will be held at 11:00 AM Thursday, March 21, 2019 at William L. Danks Funeral Home in Beaver Dam, Kentucky. Burial will follow in Sunnyside Cemetery in Beaver Dam, Kentucky. Friends may visit Mrs. Goodman’s family from 5 – 8 PM Wednesday and 9 AM until the time of the service Thursday at the funeral home. Online condolences may be left for Mrs. Goodman’s family by visiting her memorial page at www.danksfuneralhome.com.